Apple CEO Tim Cook says China will become the company’s larget market with new stores opening and a manufacturing base already in place. Cook, who is visiting China this week, tried wooing the world’s biggest smartphone market. Apple ranks 6th in China’s smartphone market, facing tough competition from Chinese brands, research firm IDC figures showed in December 2012. Cook has reportedly had meetings with China’s Ministry of Industry and Information Technology and China Unicom. “We are growing very fast. We are continuing to invest in retail stores here and will open many more over the next several years. 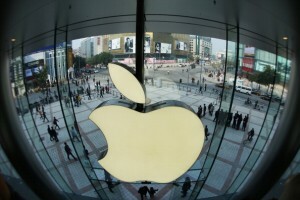 Apple now has 11 retail stores in Beijing, Shanghai, Shenzhen, Chengdu and Hong Kong. China has more than one billion mobile phone subscribers although less than a fifth are 3G subscribers. Apple’s supplier Foxconn has been engulfed in intermittent labor disputes. Cook responded to queries saying, “We care very deeply about every worker that touches an Apple product, whether they are making it, selling it, serving it or marketing it. We hold ourselves to a very high standard there,” said the CEO.